 Stilgoe (who teaches history of landscape at Harvard) brings to seashores the same mystique, erudition, and pleasure he applied to railroads in Metropolitan Corridor (1983). His charming, informative, profusely illustrated tour of the northeastern shoreline--beaches, marshes, dunes, wharves, lighthouses, harbors, boats, inhabitants and their social conventions--appears in time for summer holidays. Indeed, the volume offers a summer holiday itself with its lyrical descriptions of the wonder and allure of the seashore; the taste, smell, texture of this special place between low tide and high; the forces of nature that shape and repossess it; the seasons, history, and attitudes it fosters. 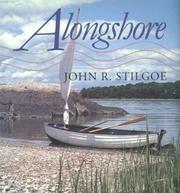 Stilgoe provides an array of information, anecdote, and fantasy, as well as answering some puzzling questions--such as why a man taking pictures on the beach is considered a violator of the unspoken etiquette developed by shore people (as opposed to tourists). He explains how salt marshes are formed and how culture impinges on them, how marshes are dissected by railroads and bridges, how fiberglass boats have turned yards where the wooden boats wintered and were refitted into condominium developments, why wharves have criminal associations and are eaten by small sea creatures that no one wants to study. A chapter on treasures turns into a history of pirates--real and imaginary--and their place in the ``American maritime psyche.'' He similarly juxtaposes reality with perception in a chapter on quaintness, or how what was poverty to the natives is being preserved by historical societies and rediscovered by affluent moderns who can afford to live in what they think is a natural way. Reflecting on bikinis, he considers how human beings interact with nature, how ocean ``bathing'' in the 19th century became ``swimming,'' and how that change generated the whole vacation culture. Eloquent, personable, absorbing, a book to read while the seasons are changing and the tide is turning.